Best Holidays Ever (Just About)! I’ve taken a bit of a blog holiday, but I’m sure you all understand! I’ve enjoyed every minute of the past two weeks. . . Sterling and I have gone to movies, watched movies at home, eaten out, and just generally loved sticking close to home and spending time with each other. With Sterling in school the past few months, we’ve learned not to take our free time for granted, and it’s really been one of the most relaxing holidays I can remember because he hasn’t had to go to school and I’ve taken some time off of work. 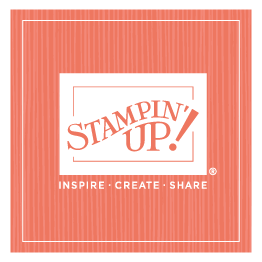 In fact, although I’ve done a few odds and ends, the only significant work I had to do was finish writing birthday, marriage, and baby cards for our Stampin’ Up! employees. I’ve fallen a little (LOT!) behind, and I had more than 120 cards to handwrite over the holidays—I promised myself they’d be done by December 31. Well, I whittled away at them, doing a few here and there, every day or so, but I underestimated how long it would take, so the past two days I’ve been spending much of my time finishing them up. I called the post office this morning and they said I had until 2 p.m. to get them postmarked today, and I walked in with less then five minutes to spare! I’ve already promised myself I won’t get that far behind again! (And now it’s in writing, so I’m really committed.) I guess we can call that my first New Year’s Resolution. I am grateful for the chance to express my appreciation to our employees, though, and recognize important milestones in their lives. . .
One of the highlights of the holidays (other than just the sheer relaxation) was my dad’s 70th birthday on Thursday. All of my siblings and their spouses (except for Leslie, who brought her daughter because her husband couldn’t make it) gathered in Las Vegas on Thursday to take Dad out to dinner. Most of us had either flown in or driven in just for dinner. We originally planned to surprise him, but he found out, which was probably better since he tends to take spontaneous out-of-town trips on his birthdays, and that would have ruined our plans. We went to the Border Grill in the Mandalay Bay Hotel. We all love Mexican, and we love this restaurant, so it was a wonderful evening. Dad hadn’t wanted to make a fuss about his birthday . . . in fact, dinner was more than he expected. But it was great to have the chance to spend a few hours with some of my favorite people! Our New Year’s Eve plans are pretty low key. I think most of the kids are coming over for dinner and to hang out. We’ll swim, watch movies, play pool . . . . just enjoy the last few minutes of 2011 together. It’s been a great year. . .and a great holiday. Loved every minute of it, but I have to admit I think I’ll be ready to hit it hard again next week! Wishing you all a Happy New Year—and a fabulous 2012!